Lauren Bonavita is the first Whitman-Hanson Regional High athlete ever to score 100 goals in two different sports. After terrorizing opposing goalies all fall, Lauren Bonavita is doing the same this spring and has further cemented her spot in Panthers lore. 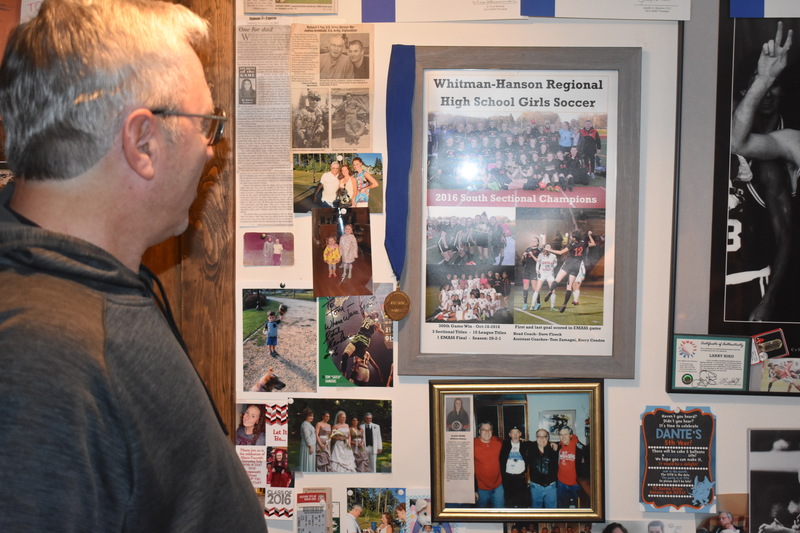 Seven months after breaking the school’s all-time record for goals scored in soccer of 103 before setting her own of 113, the Whitman-Hanson Regional High senior has added to her legacy. While it didn’t come with a soccer ball this time, it came with the help of a few. 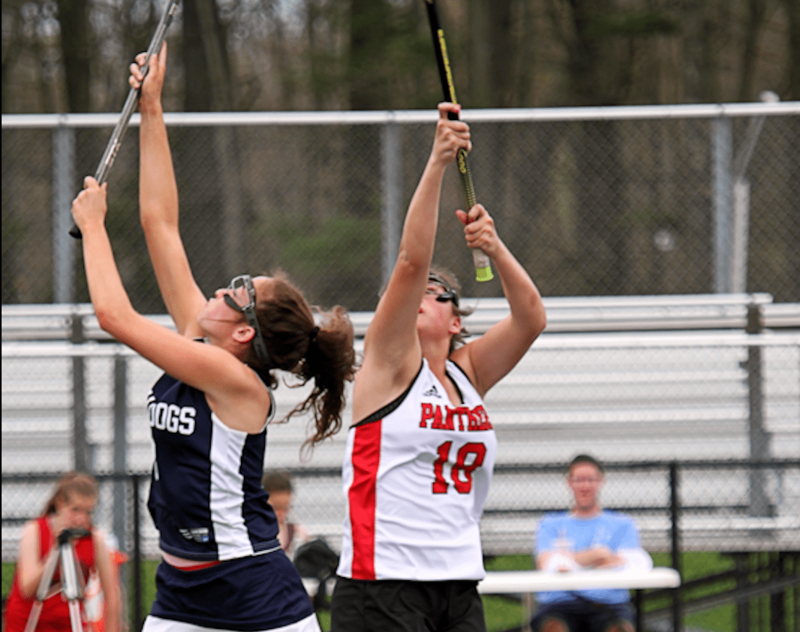 At the 15-minute mark of the first half in the W-H girls’ lacrosse team’s game last Friday, May 25, against Silver Lake, sophomore Riley Bina lofted a pass from behind the goal that Bonavita hauled in and drilled past the goalie at the top-left corner. The tally: the 100th of her career as she became the first W-H athlete ever to reach the century mark in goals scored in two different sports. W-H girls’ lacrosse coach Dave Rowell said Bonavita’s ability to find the net is propelled by her uncanny knack for the ball. “She will go after it no matter what,” Rowell said. Rowell also lauded Bonavita’s preparedness as one of her key intangibles that makes her excel. For Bonavita, the 100th goal came after missing all last season to play club soccer. “Over the summer, I played a little pass with one of my good friends, Riley Bina, and we played a lot and we would train over the summer, but other than that I didn’t really touch a stick,” Bonavita said. As a sophomore, Bonavita found the back of the net 47 times in her first year on varsity. 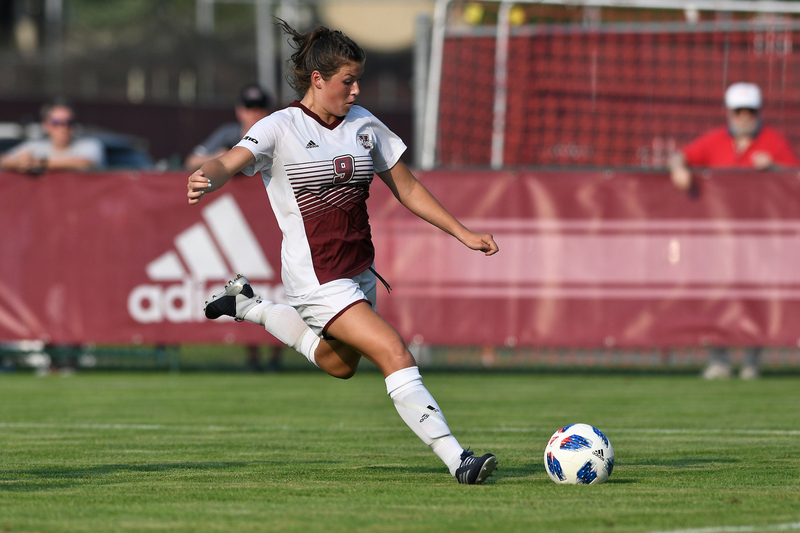 Bonavita, who is heading to UMass Amherst to play soccer next season, said she feels her competitive edge stems from her training regimen. “Whether it’s shooting soccer balls or coming up and playing wall ball with lacrosse or just running, I feel like my fitness level is always up to date and I’m able to make that one extra sprint that one of the other players on the other team won’t be able to do and beat them to a ground ball first,” she said. Rowell agreed that Bonavita’s worth ethic is what makes her stand out. “She goes from games with me where she’s playing 48 out of 50 minutes and then she goes to practice for club and she’s running sprints and she’s doing everything,” Rowell explained.